AutoCAD 2011 is out and it has been given several updates. It seems that recent new AutoCAD releases have had, generally speaking, two major new features added to it. AutoCAD 2010 had mesh modeling and parametric constraints added to it. AutoCAD 2009 had the Ribbon and the Action Recorder, though, the Action Recorder has a lot of potential, many users consider it a bust (I don’t, I think it’s great). Perhaps the same goes for the ribbon as well. Face it, CAD users don’t like change. Every release with a major change has had more than its fair share of gripes and groans. AutoCAD 2011 has two major updates, surface modeling, and a culmination of document tools. There really isn’t one major new documentation feature (except maybe the transparency setting that is now available,) but instead there are several additions and tweaks that separately are weak, but together make AutoCAD 2011 the best AutoCAD yet! This is the first article in a series that will closely look at the new features. I don’t want to give a list of what’s new, but instead, I want to go in-depth and show you each new enhancement. Some of the articles will cover one new item while others will look at several. Some new features may even span more than one article. If you haven’t installed your copy of AutoCAD 2011 yet, do so now. As a CAD user of over 17 years, this latest release really has me smiling. Yes I’m an AutoCAD fanboy, but just wait. Even if you aren’t into the heavy features of AutoCAD (then shame on you for not using the tools you have paid for) you are still going to love the “little things” that are in AutoCAD 2011. Let’s get started. One of the very first things you may notice in AutoCAD 2011 is the background color. Yet again Autodesk has seen it fit to change the color, though this time it is more subtle. It is now a dark gray. I don’t know why they insist on changing it almost every release, but they do. It’s ok really, because it is easy enough to change to whatever color you want. I have a post (click here) that describes the process. The post is for AutoCAD 2009, but the process is the same for AutoCAD 2011. Another thing you are going to notice is that there is an actual grid when you turn the grid display feature on! Out of the box it is on. Also notice the UCS Icon, it too looks different. No more cones at the ends, just lines, one for the X Axis and one for the Y Axis. The grid is colored green on the Y Axis and red on the X Axis. This is nice because it helps them to stand out, I guess. This makes the background look more like old fashioned graph paper. Funny how over the years there have been more and more items in AutoCAD to make its drawings look more “hand drawn” than before. And since we are on the UCS Icon, the 3D Gizmos have been tweaked a bit too. Each one is a bit more distinct so that it is easier to tell them apart. They are also more consistent with their functions. The axis colors match the UCS icon, and each gizmo looks much more different from the others. They are still easy to use, go to the Ribbon (in the 3D Modeling Workspace), Home Tab, Subobject Panel. Expand it, and go to the Gizmo Command. Select which Gizmo you want to use, now select a 3D object. The gizmo you picked should pop up. If not, select the object first, then pick the Gizmo. Keep the object selected, now pick a different Gizmo, it changes. If you need to switch between Gizmos, it’s easy. Just pick the one you want. One more highly visible change is in the navigation tools. By default, there is now a Navigation Bar tool. This bar has some of the most frequently used navigation tools in it. It has: Steering Wheel, View Cube, ShowMotion, Pan, Zoom, and Orbit. These items used to be in the status bar; they aren’t anymore. You can turn the navigation bar off and on if it gets in your way. You can dock the Navigation Bar on the top, bottom, left or right side of the drawing window. You can also control what navigation tools are displayed. To change the nav bar, click on the arrow at the bottom of the navigation bar. This brings up the settings dialog box. You can also control which version of each command is visible. Pick which Zoom Command you want to use, though all are available. The same goes with the orbit command as well as the other tools. The ViewCube has been enhanced to support the 2D Wireframe view style. This allows you to rotate your viewport on a two dimensional plane. One last thing, if you are using a 3D Connexion device, controls for it will show up in the Navigation Bar. That’s it for now. We will get into the other new features and enhancements in later posts. What have you used so far? What do you like or dislike about AutoCAD 2011? I am one of those that is really annoyed by the one year release cycle. To justify this they keep changing colors, and UI elements (Ribbons and such) to fluff it up. If they stuck to genuine improvements in functionality they could easily do a two, or even three year cycle. The change from r14 to ACAD2k was the most awesome in terms of "real" improvement. All releases since have had some improvements, and even more fluff. It's like the auto industry in the '50's and '60's. Removing cones from the icon is nothing more than changing the fins on a Cadillac. I will be amongst the first to admit that a yearly cycle is difficult to keep up with, especially if you are a CAD user, and not a CAD Technician (user meaning a person that uses CAD some, but not all day, every day.) However, as a CAD Technician, a yearly cycle means that my main tool gets better every year. Each year I can do more than I could the year before. Not only will I have new tools each year, but the existing tools get a bit better as well. I will admit, that the first few "tweaks" that I mention in the post above are nowhere near ground breaking, nor do they justify an update in any way. But just wait until i get into the good stuff. Just forget the fact that AutoCAD now has surface modeling. 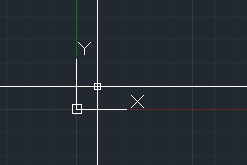 Forget the fact that I can use NURBS in AutoCAD! Let's forget the fact that it now has Freeform modeling (new in 2010), just look at the other additions. Parametric Constraints. Action Recorder. Dynamic Blocks. Sheet Sets. Annotated Scaling. Contextual Ribbons. Dynamic Input. Tool Pallets. These are but a few features that have been put in place since the yearly cycle was established with AutoCAD 2005. Each year we got a major tool, then each year after that we got another. The tools that were added and the ones that were improved in AutoCAD 2011 more than justify the update, in my opinion. For example: 5 new visual styles, Object Visibility (hiding objects based on selections, not just layers), Select Similar, Create Similar, Inferred Constraints, TRANSPARENCY, Hatching Contextual Ribbon (this is a huge deal for my office because we hatch every thing), Hatch background fills, New polyline editing tools, xref selection, and more. These items I just listed are all in one release. We typically don't hear of all of these "little" tweaks from the CAD News because most writers don't understand the day to day use of CAD because they aren't doing that. They get missed, but to me, and my users, they are just as important as NURBS and other new surface modeling tools. If AutoCAD was on a two year release cycle we would get less improvements each release. If they have changed alt-keyboard shortcuts again I'm gunna file another batch of bug reports. Yes, one for each. Please, please let UX fails like the 3-tab stops between find & replace (newsflash: everything else in the known universe uses 1 tab stop & AutoCAD is not the only app I use) & radio buttons that should be action buttons (find & replace text in blocks warning) & lots, lots more be gone. Long-standing bug fixes would be nice too like the fragile file-saving process that doesn't check file locks before blindly muddling along, detailed at http://discussion.autodesk.com/forums/thread.jspa?messageID=6363960. Yes, that's from 2002. Notwithstanding UX cheese-moving and the too-hard basket, I like the idea of annual updates. Continuous improvement is a good thing. Improvement, I said. 2 years is still too close. Let me compare what Bentley does with MicroStation. I'm not saying it's better than AutoCAD, but the updates delivery is very convenient. They update the application 3-4 times a year. Most of them have patches and bug fixes. But they actually add some new tools when releasing the updates. The good thing about this you can get the improvement faster, they don't change the interface every year, and they don't waste time for creating/updating new documentation. Again, I'm not saying MicroStation is better. But I think Autodesk should try similar approach. I'll admit that it is obvious that the reason the file format changes is to help "persuade" users to update. On the other hand, changing the file format has allowed Autodesk to add new capabilities to the software, like mesh modeling and constraints. Now, I'm not a programmer, so i could be naive, but as far as I understood it, the change was needed in 2010 to be able to add those new functions. On another note, Autodesk typically releases patches throughout the year, for free. Solidworks users can only get updates if they are on subscription, but I think Microstaion users get them free. And technically, yes AutoCAD's interface was changed in the 2009 release, but every interface option is still there, even the Menu Screen and even for tablet support, so you can still work the same way you did in AutoCAD r10 DOS if you want to. But icons have changed and command locations have shifted a bit here and there, but it is very easy to customize these interface tools with the CUI if you want to. The file format doesn't need to change any more than Microsoft need to start from scratch with every .NET framework release. The exception here is the addition of compression but changing the encryption? That's just a shot at the ODA et al. Well, this would all be true assuming their framework is sound and extensible, which I assume it is. I'm happy for the UI & UX to evolve intelligently, following established conventions and standards but there is really no good reason to break old muscle-memory driven keyboard shortcuts *annually*, especially since the menus are more or less deprecated. CUI is easy if you know how - most of the users I work with freak out when they see that window. AutoCAD is not their primary working environment (by a long shot) so CUI etc is way outside their scope of "what I need to know to get by". I see a lot of users like that. My guess with the Solidworks subscription scenario is that it has fewer natural predators than AutoCAD so it can afford (perhaps) to be more of a closed shop. Great post! Can't wait to see what AutoCAD '11 is all about! I work with the McGraw Hill Sweets Network, who boasts a HUGE selection of options for cad details.